Today we bring news of the best lash extensions in Hong Kong. And if you're anything like us, you'll know we're not going to award that title lightly. We've trialled a good few lash lengthening services in town and when we say our current set blow all the others out of the water, we really, really mean it. Long, fluttery and still looking luscious and Bambi-esque three whole weeks after application, these lashes get our triple gold star beauty rating (just so you know, that's pretty epic). We love a great set of lash extensions. Longer lashes make us feel prettier, give us a boost of added flutter power and mean we need less make-up (which means less time getting ready in the mornings and therefore more time in snoozing). However, done badly, lash extensions can look too obviously fake leaving us more Priscilla Queen of the Desert than Disney Princess. Previous horror extensions have seen our new fakies weighing our eyelids down so we look permanently exhausted or even ripping out our natural lashes leaving us with bald eyelids a couple of weeks later. No such downsides with Novalash. As you arrive in the Novalash reception you're shown through to a little waiting room where you're settled into a sofa with a glass of water and given a medical form to fill out. Boring but important part over, you're lead through to a treatment room where a lash expert carefully talks you through anything and everything lash-related from the glue options, to post-extension upkeep all illustrated by a whizzy Novalash presentation on an iPad. 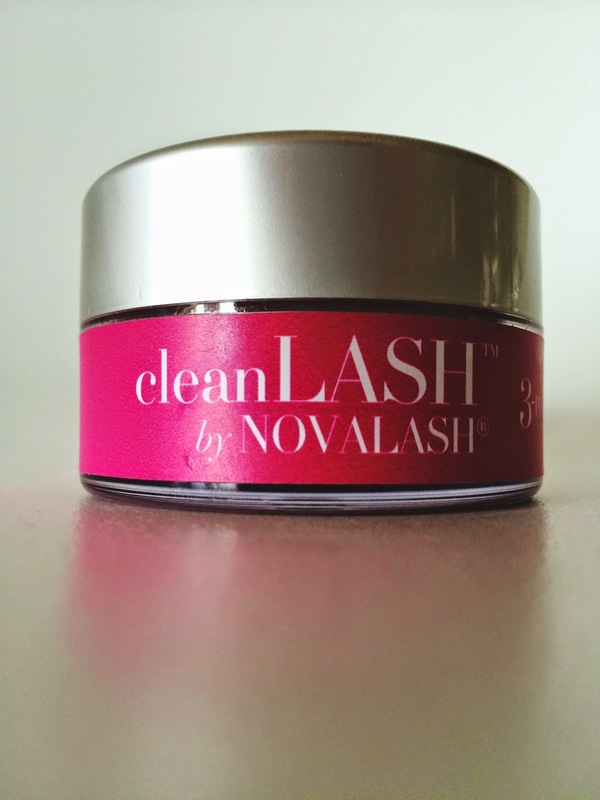 Quite aside from the care and attention to detail that Novalash shows, one of the key differentiators between Novalash and it's competitors is the glue that they use. 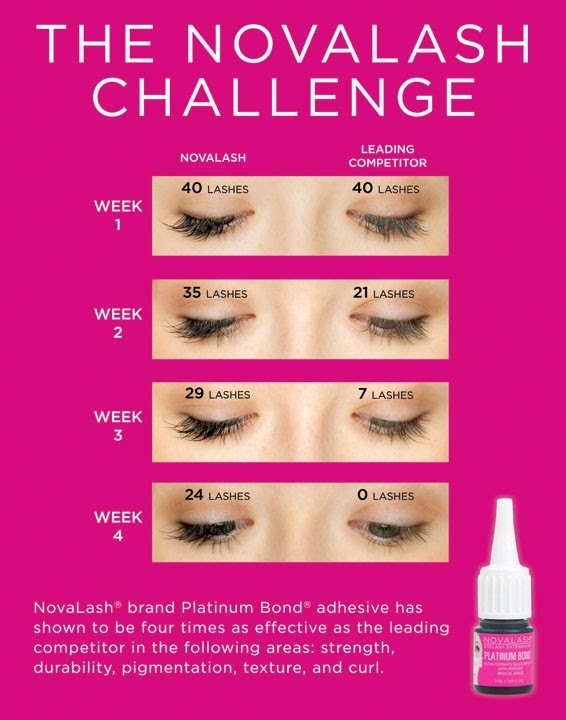 The Novalash Platinum Bond Adhesive has been specially formulated to give much stronger, more durable hold than normal lash glue which has been proven to make lashes last for up to four weeks as opposed to the usual two. The treatment lasts up to two hours but this is something you'll be glad of once you're settled into the super-comfy reclining chair, covered with a blanket and lowered back until you're lying horizontally - the perfect perch for a couple of hours of snuggily snoozing! The therapist starts by gently removing your eye make-up before placing gel pads over your lower lashes so that your upper and lower lashes don't get stuck together. Next the lashes are painstakingly applied at least 1.mm from your lash root and with no more than one false lash glued to each of your natural lashes so that the end result won't be too heavy and won't pull your natural lash out. Much of my treatment was a dream-filled blur, but a couple of z-filled hours later, I was woken by the lash glue dryer - the final stage of the lash application. Once the glue was completely dry, the therapist carefully combed the lashes through and then removed the gel pads. Voila - bounteous lashes were mine! I had to zip off to the airport to catch a flight but on my way out grabbed a pot of Cleanlash 3-in-1 eye cleanser, conditioner and eye make-up remover - super thin pads soaked with pomegranate seed extract that whip off the day's make-up while also keeping your extensions clean and flexible. 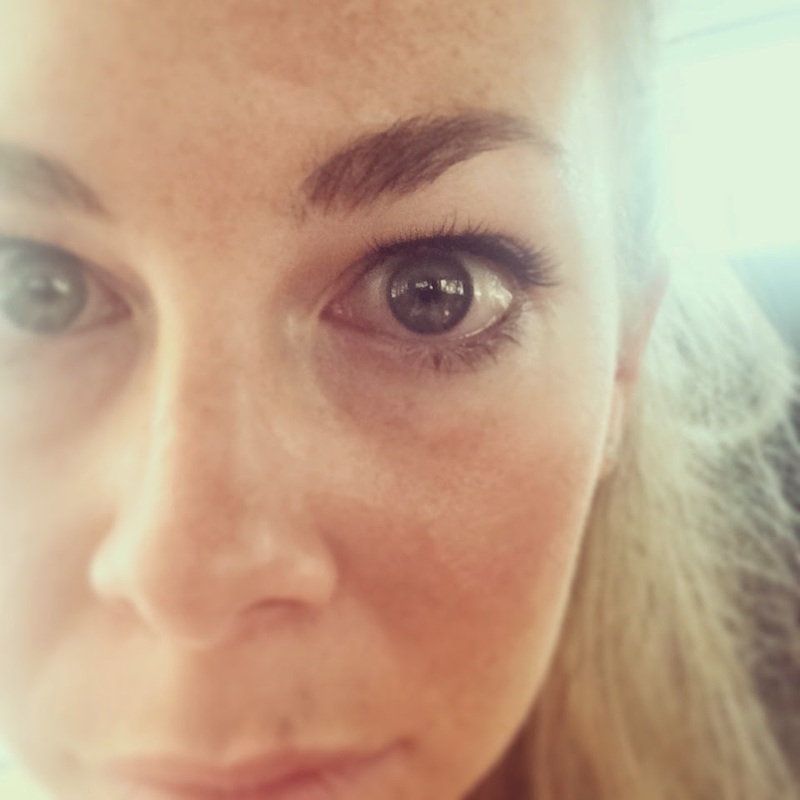 Whether it's the glue, the Cleanlash (which I've used every evening followed by a quick splash of water), the skilled application or the killer combo of all three, these are without a doubt the very best lash extensions that I've ever had. Despite ten days' worth of swimming and sweating in Cambodia and a further week and a half of tropical Hong Kong rain storms, barely any lashes have shed and I've virtually binned my mascara collection - I'm an out and out Novalash convert.